For the first time, Gov. 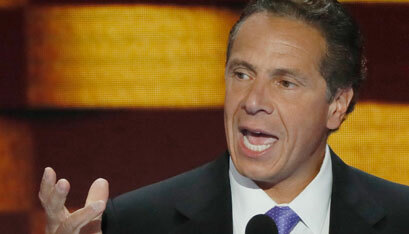 Andrew Cuomo has voiced his apparent support for assisted suicide. Cuomo has drawn the ire of Catholics, who called for his excommunication after he signed the Reproductive Health Act in January. Bishop Edward B. Scharfenberger asked Cuomo in an editorial “not to build this Death Star,” but that fell on deaf ears. New York’s Medical Aid in Dying Act, which was reintroduced this year, would allow doctors to legally prescribe a lethal dose of pills to a patient whom two physicians have stated has six months or less to live and is over age 18. Critics argue that the legislation will increase pressure on vulnerable individuals who fear being a burden on their families or losing their independence to end their lives. The state’s Catholic Conference notes that the bill requires no mental health evaluation to screen for depression, nor does it require the presence of any witness or physician or other safeguards against coercion and abuse at the time the drugs are ingested. While proponents call it “death with dignity” because they view it as allowing a person freedom of choice on how and when they want their life to end, opponents call it “assisted suicide,” because it ends a life unnaturally and raises red flags with regard to vulnerable populations.